Is there a way to have an OR in a condition? Is there a way to have an OR in a condition? In other words I want a field to be required if either field 1 is filled OR field 2. 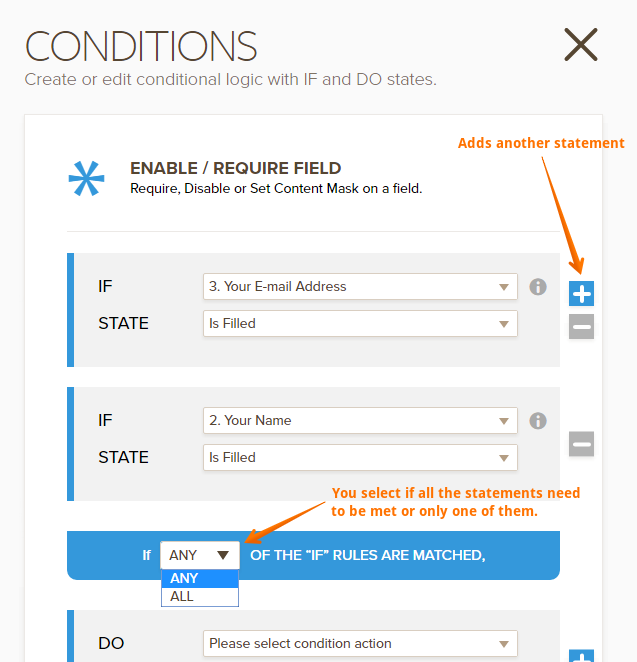 Yes, on the conditions wizard you will find a "+" button where you can add more statements to the condition, once more fields have been added you will be able to select if all the statements need to be met or only one for the condition to be triggered, any is the same as or and all is the same as and in conditions. 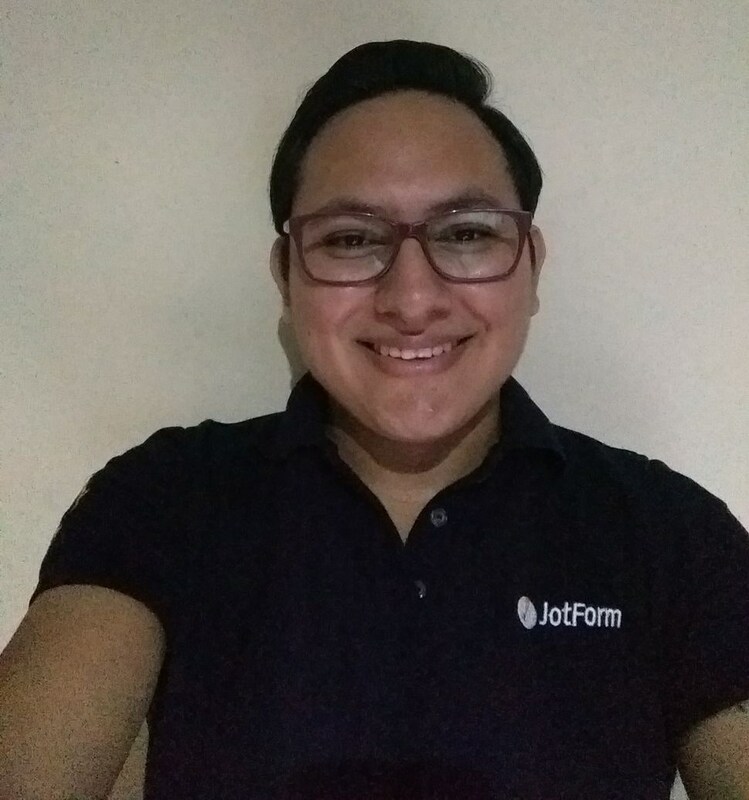 So you will only need to add all the fields you need in the statements in your condition and then select the option "Any" so if one of all the statements is met the condition will be applied to the form. It looks like that your response is not posted here. However, I see that the solution provided by our colleague works for you. Glad to see that the issue is now resolved. Please do not hesitate to get back to us if you need any further assistance. We will be happy to help.